Guess Who’s Held Talks About The Lions 2021 Job? The Lions tour of South Africa in 2021 is still two years away, but that hasn’t stopped people speculating as to who will be the famous touring side’s next head coach. Ireland captain Rory Best has backed his outgoing boss Joe Schmidt to lead the Lions against the Springboks, while the likes of Eddie Jones and Andy Farrell have also been linked. But it appears a former coach has already held “informal” talks about returning. 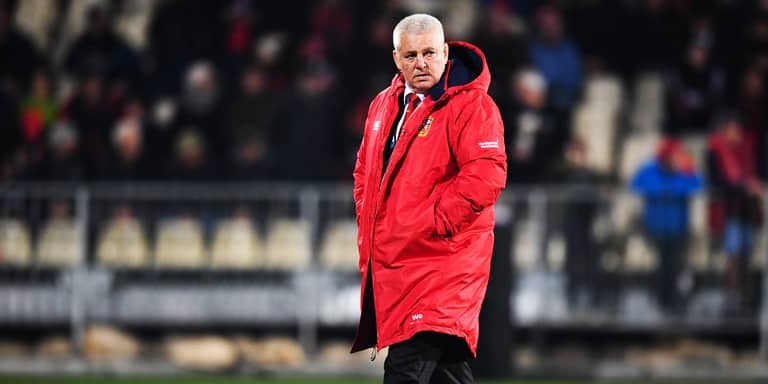 Gatland has previously said he will “never” coach the Lions again after the abuse he received from his country of birth New Zealand back in 2017. But he appears to have changed his mind and is weighing up the idea of leading the Lions for a third consecutive tour. “Maybe. I’ve had a couple of informal conversations and that’s all it’s been at the moment.” Gatland said. Would you like to see Gatland take over as Lions boss again or is it time he stepped aside and let someone else take it?